Much of what we talk about here in DH is about the changing workplace largely as a result of living in the networked age. I hope, that some of these posts encourage us, as organisational leaders, to rethink the way we work, the way we organise and the style in which we lead and follow. This post is a diversion into diversity. 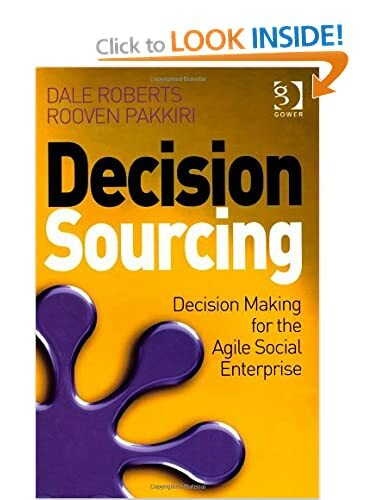 In Decision Sourcing, Rooven Pakkiri and I assert that businesses are, like all social structures, organised around a common purpose – one of economic activity. In fact, it turns out that economic activity could even have been a critical part in human evolutionary development. Neanderthals, it turns out were every bit as smart as modern humans even if they were also hairy strong and tough. It turns out that hairy strong and tough was all the fashion for ice age conditions but it didn’t make them stupid. Nevertheless, in spite of the two hundred thousand year head start before Homo sapiens arrived. Ten thousand years later, all the Neanderthals were gone. The prevailing theory is that modern man had sophisticated tools making them better at hunting and warring. However, research by Jason Shogren of the University of Wyoming suggests that, rather than toolmaking, it was trade and specialisation behind Homo Sapien dominating previous members of the genus. Dr Shogren’s research reported in the Journal of Economic Behaviour and Organisation, suggests that the early survival of humanity depended upon economic cooperation. The sapien edge came from collaboration, trading and specialisation of labour. Trading between craftsman and hunters allowed sapiens to get more meat, a finite resource, therefore driving up the fertility of sapiens and the decline of Neanderthals. Whilst this perfectly illustrates the importance of economics on our evolution (Shogren’s point is about bartering and trade) it also illustrates the importance of a need for diversity in communities. Neanderthal could not have been more perfectly motivated (hunt or die) but this was clearly not enough. The stick could not have been more final and the carrot more crucial and yet extrinsic motivation failed an entire species. Over at the Sapiens though, their system allowed bad hunters to put down their spears and make clothes and tools. Craftsmen created, hunters piled up meat and pelts and warriors fought. A system of trading was an implicit recognition that everyone had a role to play. An acknowledgement of diversity through a system of exchange resulted in everyone getting better clothing, tools, weapons and a belly full of food. There would have been no group hugs or tolerance workshops. No badges or T shirts. Instead instinct and necessity lead them to a fundamental truth about diversity in tribes. In teams if you will. Whilst it is a human tendency to be drawn to people like ourselves, it can lead to homogeneous hiring and more of the same. More of the same, it turns out, was a system that didn’t work out that well for those whom we first discovered in the German Neander valley. How should our teams look in the future? It might be worth looking for some pointers in our evolutionary history.